Some 54% of high net worth individuals (HNWIs) believe they are underinsured according to a recent survey commissioned by Chubb, one of the world’s largest insurance companies. This is a worrying statistic, not least because HNWIs typically have large property portfolios, as well as high-value assets and collections such as fine art, wine or classic cars. However, it’s little wonder that so many wealthy individuals have inadequate cover – Chubb also found that just 19% of HNWIs use a specialist insurance broker. Neil Entwistle, Managing Director of Sovereign Insurance Services (SIS), says insurance is a major concern for many Sovereign clients, who typically own real estate and high-value assets in more than one country. Underinsurance is a very real problem – particularly because it is usually discovered too late when the money paid out in the event of a claim is found to be insufficient. Your insurance payout should be sufficient to reinstate what’s been lost or damaged, but calculating this value – whether it’s the cost of rebuilding or the total value of the contents – can be a headache. When you add high-value items, global travel, multiple properties and niche collections into the mix, HNWIs have a very hard time establishing what level of cover they need. Rebuilding costs in mortgage surveys are often based on standard cost tables and simply don’t reflect the reinstatement value of listed or high-spec buildings. As in many other areas, from property finance to tax advice, HNWIs should look to specialist service providers when considering their insurance. 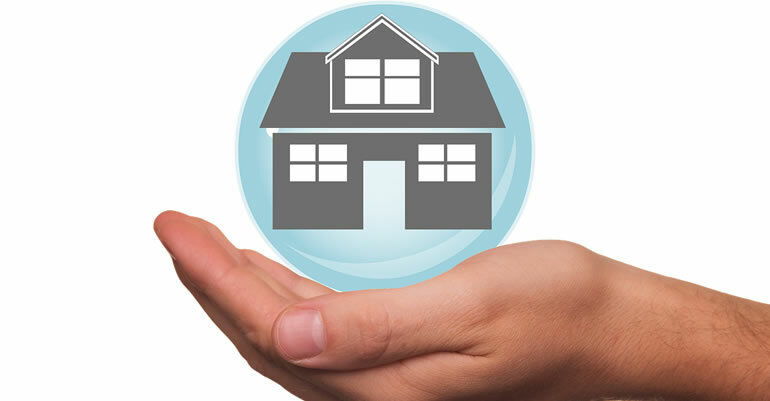 Specialist insurance brokers will provide a proper appraisal service that will assist the client to put a correct figure on a property and its contents, thereby minimising the risk of underinsurance. This works both ways. The client gains peace of mind that they have the right level of cover because an expert has physically assessed their assets, while the insurer also gets to actually examine what they are covering because their potential exposure can be substantial. It also gives the insurer an opportunity to engage directly with the client about the level of cover they are seeking. Most clients have a rough idea what their home is worth, but only in a market sense – the cost of rebuilding is very different. This is especially as true for clients that live in unique, large or listed buildings. Calculating the cost of rebuilding a listed 18th century manor from scratch, in the event of a fire, is definitely a job for a specialist risk consultant. Confusion can also be caused by fittings, such as carpets or curtains. In a large, luxurious home, the cost of replacing these could be very significant but many homeowners forget to factor this into their assessment. Many HNWIs are unaware that the value of their clothes, bags and shoes can run into hundreds of thousands of pounds. Every location has its own challenges. A new-build villa on a golf resort in Portugal may be straightforward to insure because the building spec or development plans will be readily available. But valuations will be much more difficult in places like the French Riviera, which may involve historic chateaux or large vineyards. Equally modern high-tech features such as underground garages, hydraulic lifts or heated driveways can present other risks, while the natural risks from earthquakes and avalanches will also be a factor. HNWIs can have many complicated insurance considerations, so it’s easy for a client or non-specialist insurer to get things wrong. Whether you’re trying to insure a large art collection or work out the cost of rebuilding your Alpine chalet from scratch, you should seek the advice of an expert as soon as possible and make sure you aren’t one of the vast numbers of HNWIs who are underinsured. For further information, please contact Neil Entwistle at Sovereign Insurance Services or by telephone, 00350 20052908.